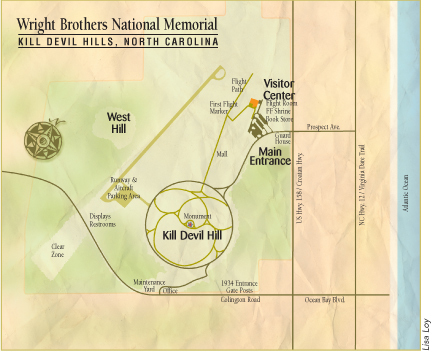 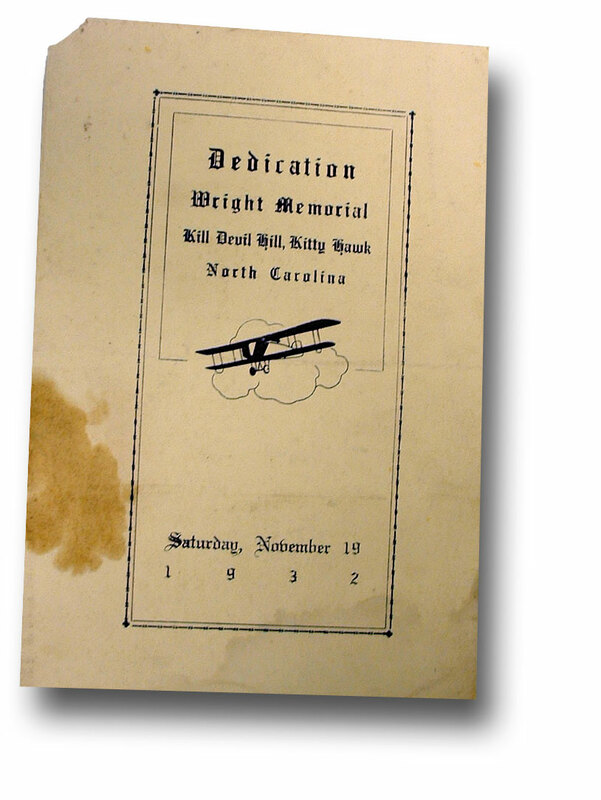 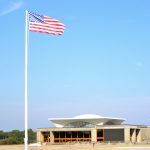 Wright Brothers National Memorial is located in Kill Devil Hills, near Kitty Hawk, NC. 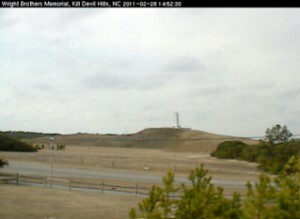 Kill Devil Hills’ live webcam of the monument. 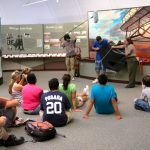 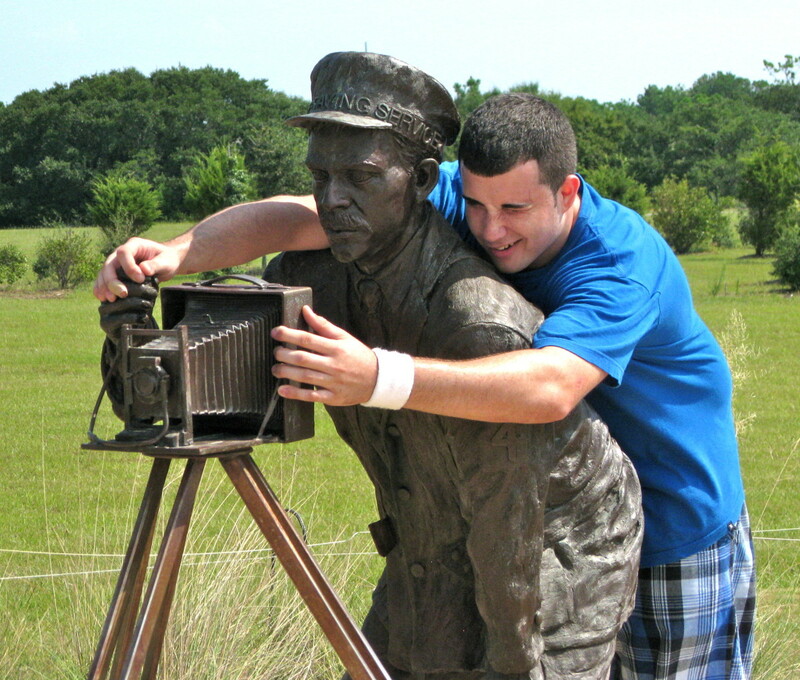 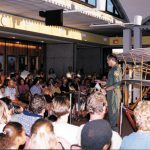 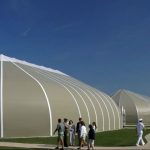 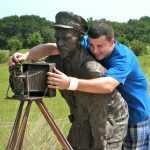 We suggest that you stop first at the Visitor Center upon arrival, where the story of the Wright brothers is told through exhibits and full-scale reproductions of the 1902 glider and the 1903 flying machine. 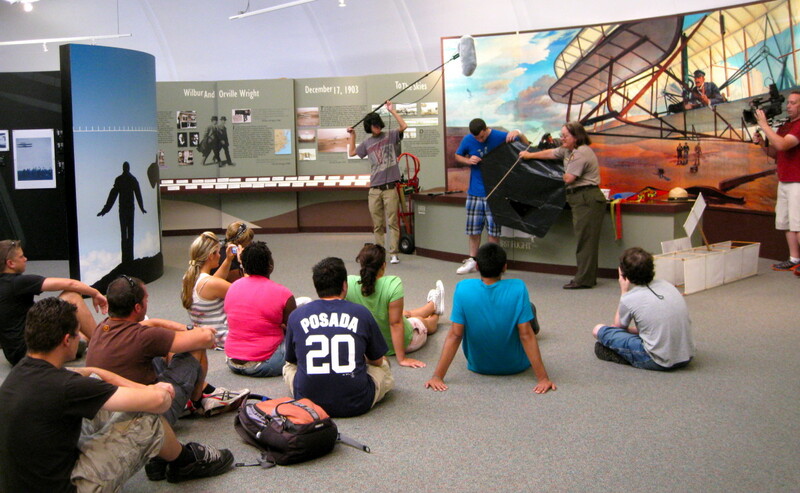 A large granite boulder at the first flight area near the reconstructed 1903 camp buildings marks the spot where the first airplane left the ground. 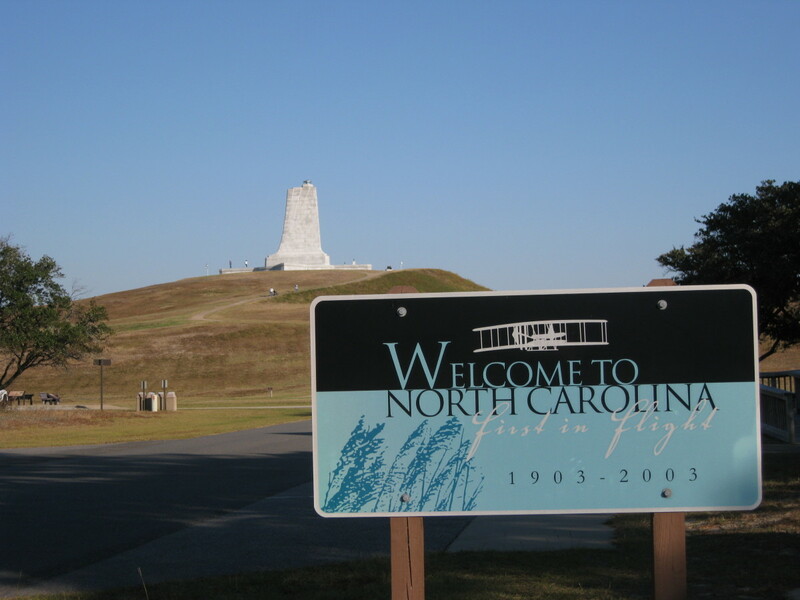 Numbered markers indicate the distance of each of the four flights made on December 17, 1903. 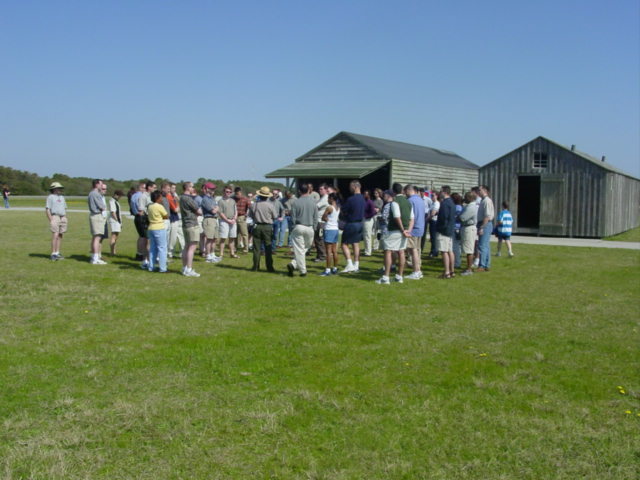 One of the 1903 camp buildings duplicates the one used by the brothers as a hangar for the 1903 Flyer. 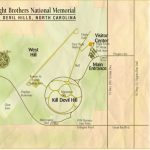 The other is similar to the one used as a workshop and living quarters in 1903. 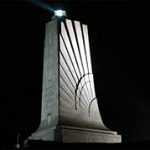 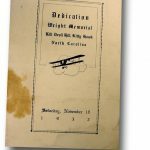 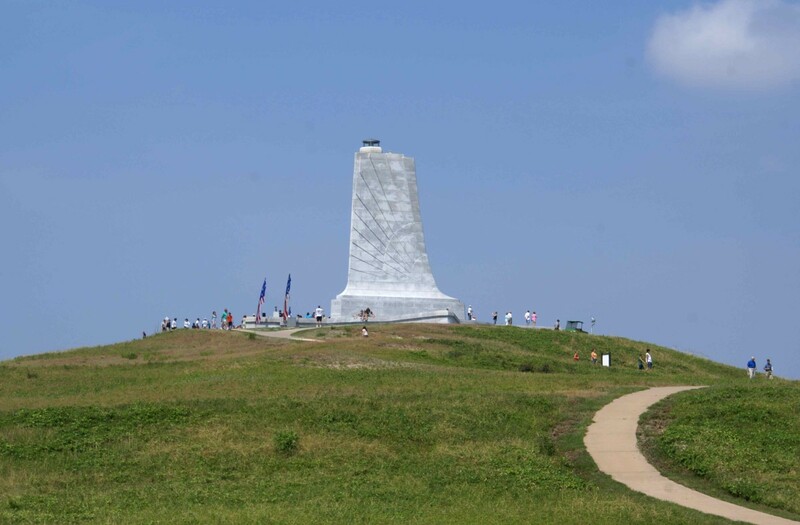 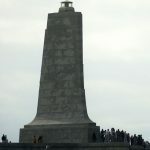 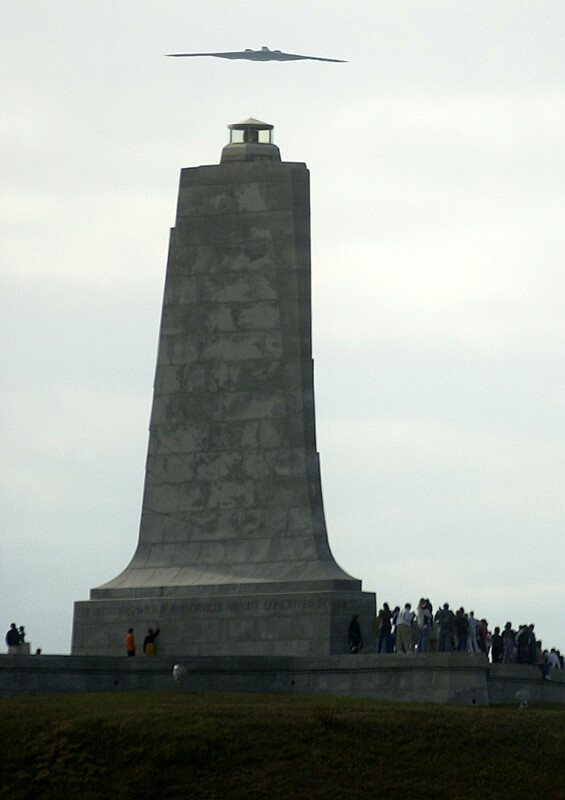 The Wright Brothers Monument crowns Kill Devil Hill, a 90-foot dune of once shifting sand that has been stabilized with grass. 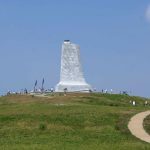 The 60-foot monument constructed of gray granite from Mount Airy, NC, honors the Wright brothers and marks the site of the hundreds of glider flights that preceded the first powered flight. 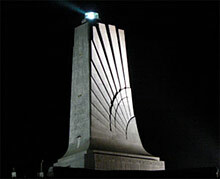 The monument underwent a total renovation sponsored by the First Flight Foundation in 2008. 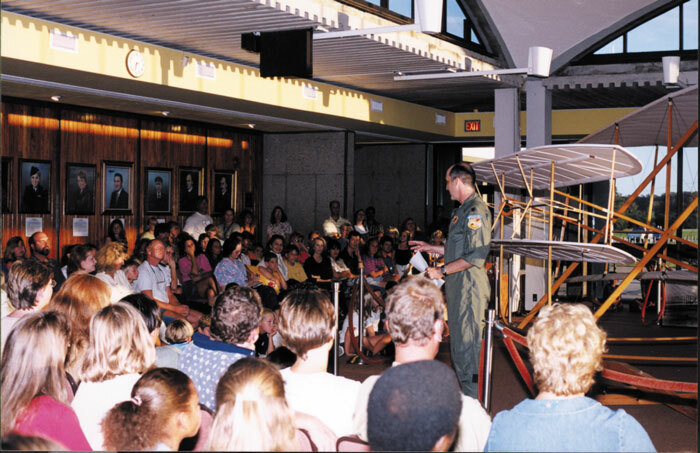 First Strip Airstrip. 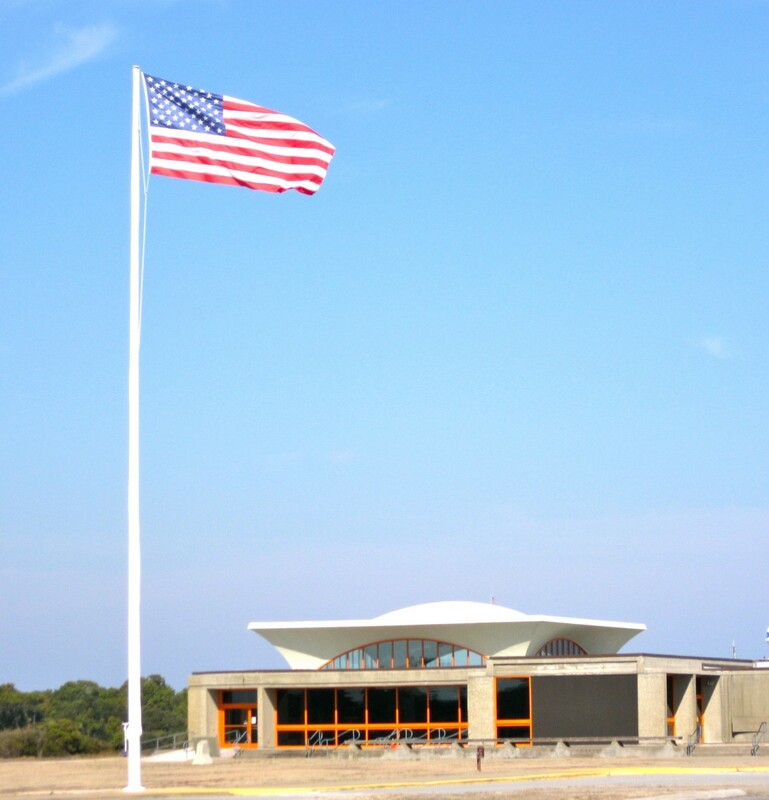 This 3,000-foot paved airstrip was added to the park in 1963 to accommodate smaller planes. 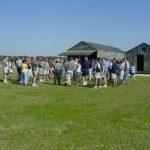 Parking at the airstrip’s limited tie-down area is restricted to 24 consecutive hours or a total of 48 hours during any 30-day period. 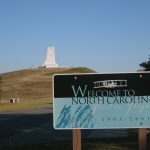 Pilots who wish to stay longer for other purposes may tie down at the Dare County Regional Airport, where gas and rental cars are available.